Abu Dhabi: The capital of green energy? While the United States Congress hems and haws over extending relatively modest tax incentives to encourage renewable energy development, Abu Dhabi is spending $15 billion in a drive to make the oil-rich emirate an epicenter of green technology. 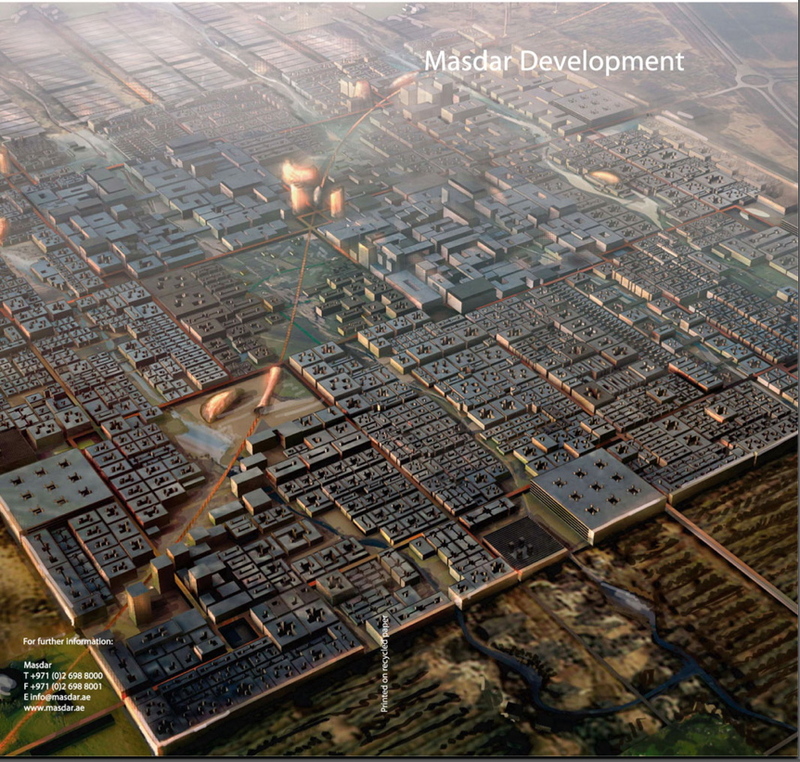 Called the Masdar Initiative, it’s best known for plans to build Masdar City, a “zero-carbon, zero-waste” urban center. “This city is going to literally re-engineer urban planning,” he claims. Abu Dhabi’s ambitions will create opportunities for U.S., European and Asian green tech firms and Al Jaber acknowledges that forming the right partnerships will be the biggest challenge in fulfilling the emirate’s green dreams. But he says he sees no irony in one of the world’s biggest oil-exporting nations going green. The bottom line: it’s all about power and markets. Why isn’t the USA spending more money on research like this? As soon as the Arabs sell us all their oil, they can sell us alternate energy too… Wake up America!!!! This is a commendable project being unfolded in Adu Dhabi.Masdar Initiative CEO Sultan Ahmed Al Jaber and all of the citizens of Abu Dhabi providing a zero carbon, zero waste city should be congratulated for providing this technological oasis as a source of development.We need national,state and local initiatives to do the same here in the good old USA.We need not only renewable, but also affordable sources of energy.Then freedom will ring loud and clear. It’s about time! Whoever researches and wherever this research is conducted is irrelevant. The bottom line is we need this now! The sooner we realize this the better. It’s great that Abu Dhabi has taken the initiative and has the serious funds to make a benevolent impact on our planet. The future is in our hands and it’s our responsibility to provide a future for generations to come. Big “cheers” for them for something that has been long overdue.